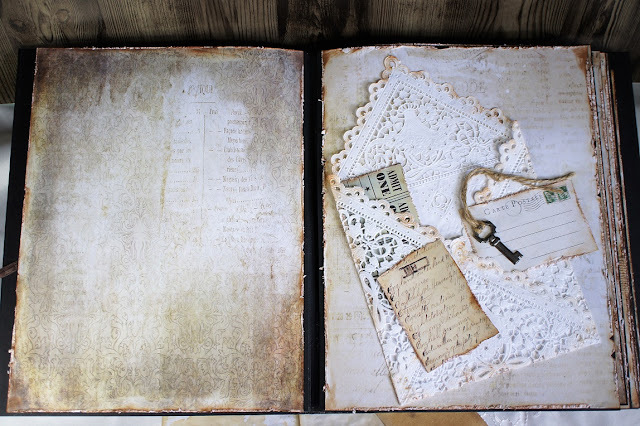 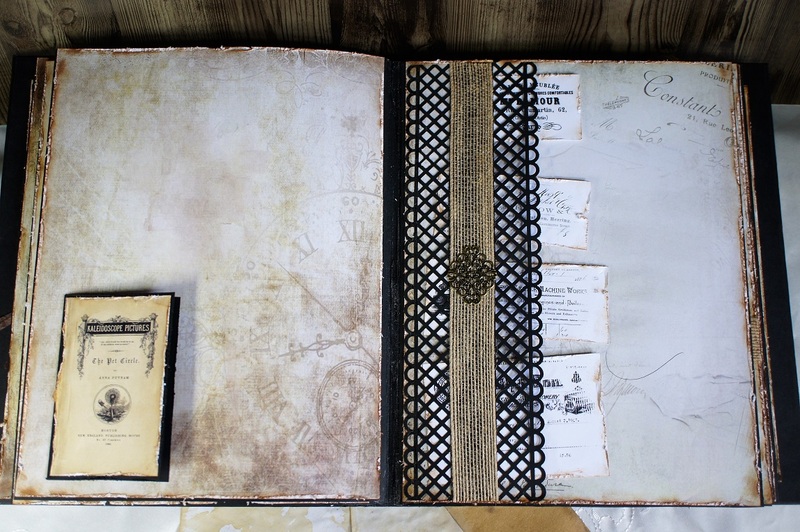 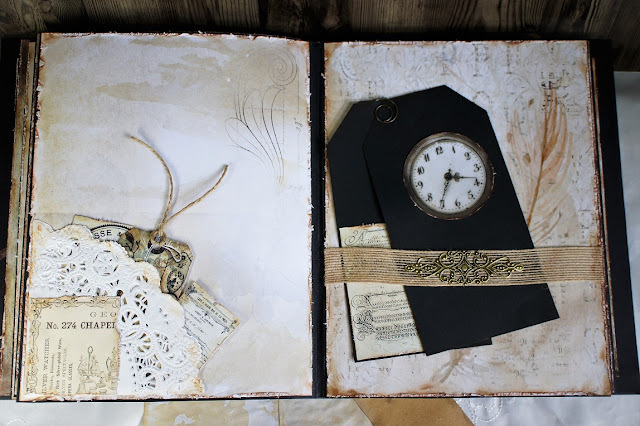 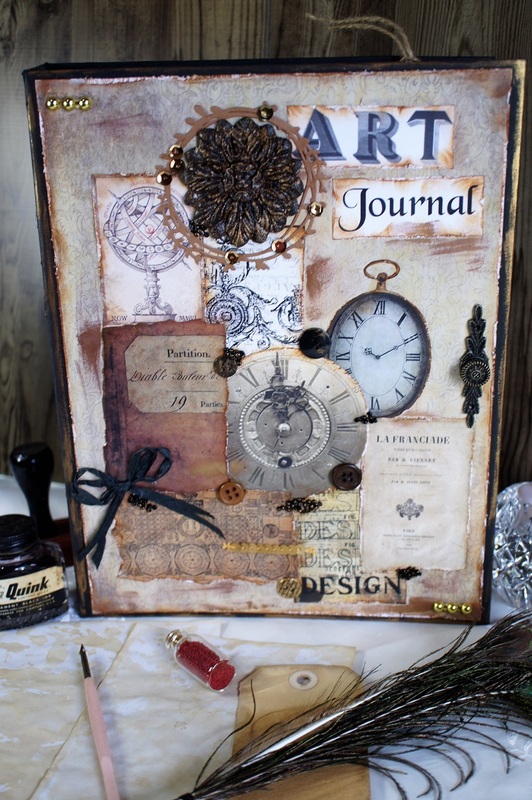 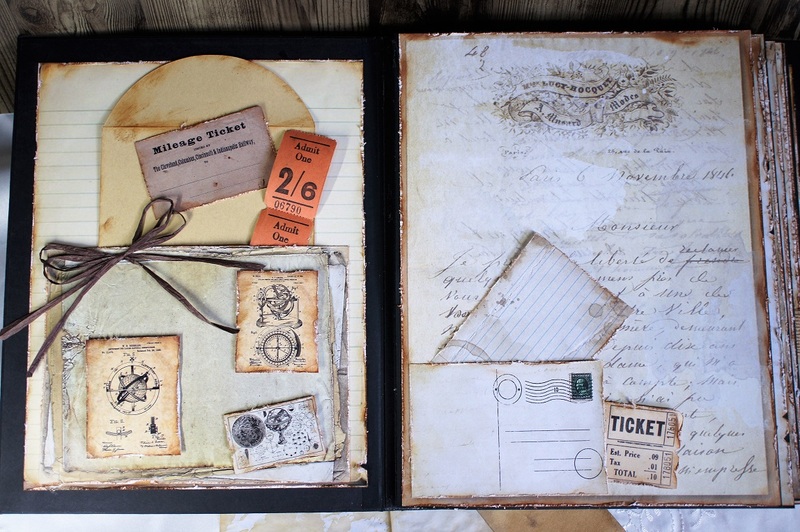 I would like to share with you my Art Journal Album I have created from scratch for Meg's Garden Blog. 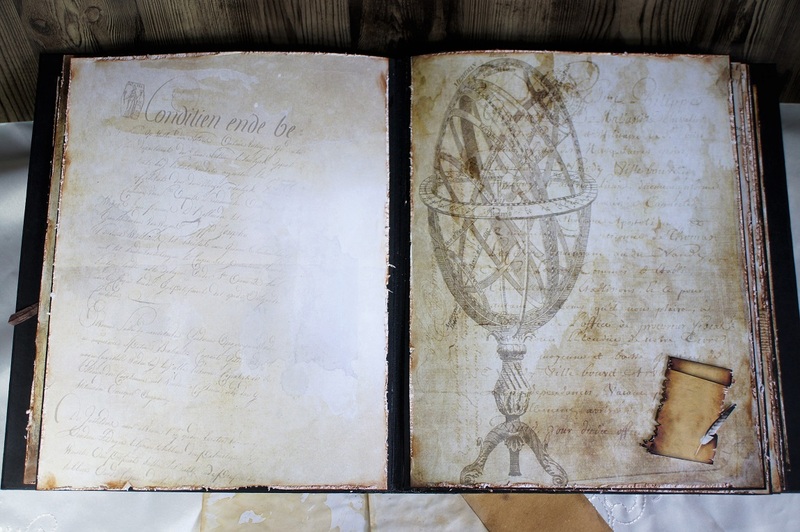 These gorgeous patterned papers are called Alchemy 101. 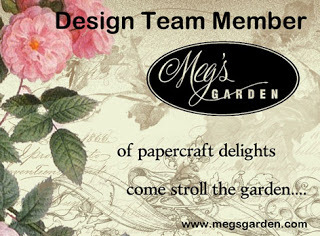 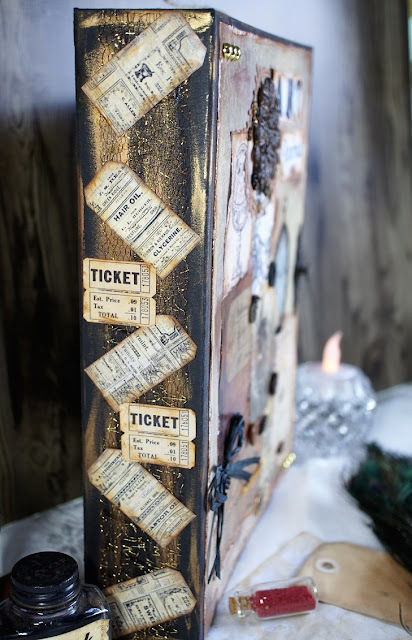 The papers & metal hardware are available from Meg's Garden online store. 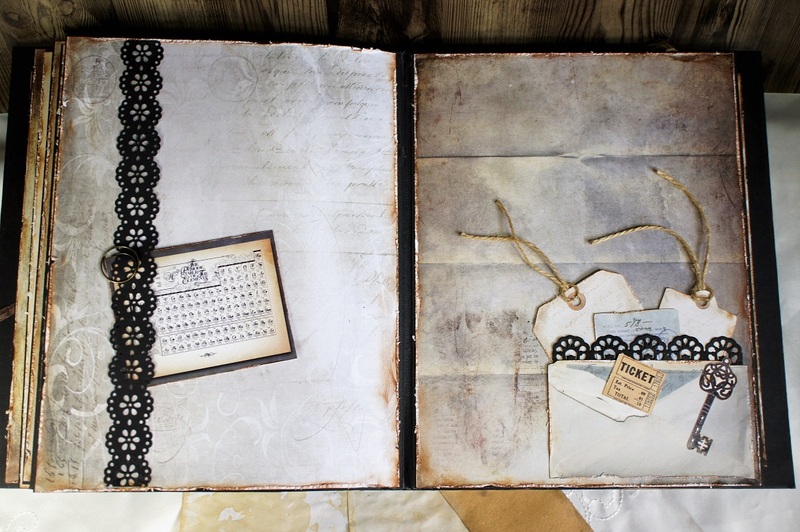 My album measures 22 x 28.5cm. I have left a couple of the pages blank at this stage so that I can add photos at a later date. Each page is a large pocket allowing me to slide in some of my journaling or art work. 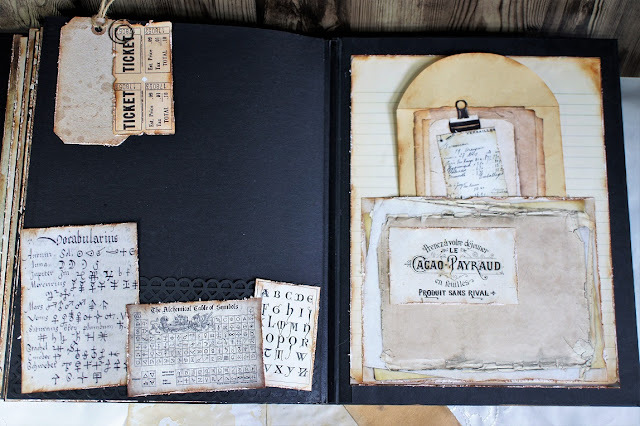 I have used a paper distressing tool to distress the edges of all the patterned papers & cut out collectables. I then added distress ink vintage photo.